We are delighted to announce Full Line-Up of Jeton Records 2018 Summer Season at Istanbul’s magical open-air club Suma Beach. Suma Beach is known for its hypnotized atmosphere, magical forest stage and open minded crowd. This summer will be the 6th season of the club and it will host tons of A-listers again this season. We are super happy to host our summer events at Istanbul’s finest summer venue! 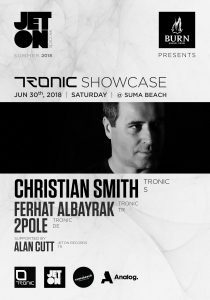 Tronic Showcase June 30, 2018 with Christian Smith, Ferhat Albayrak, 2pole and Alan Cutt. 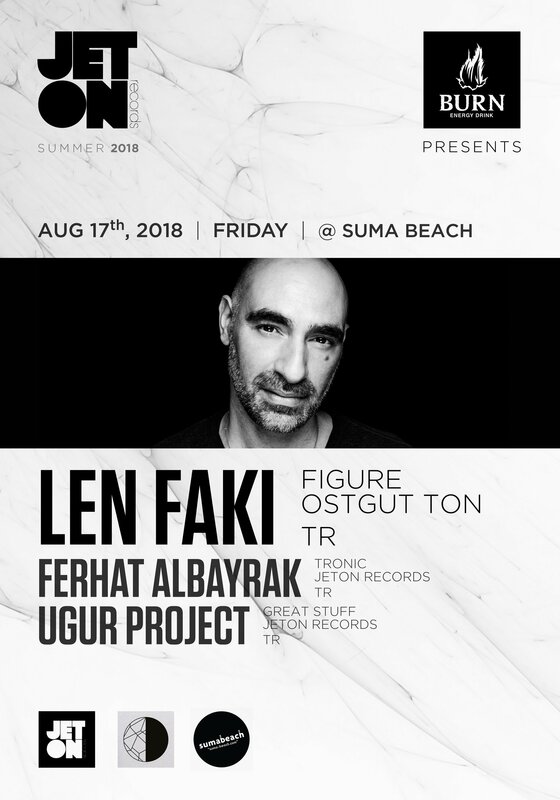 Len Faki August 22, 2018 with Ferhat Albayrak, Ugur Project.